We have all heard of igloos, but what do we really know about how they are made? 7 Interesting Facts About Igloos! 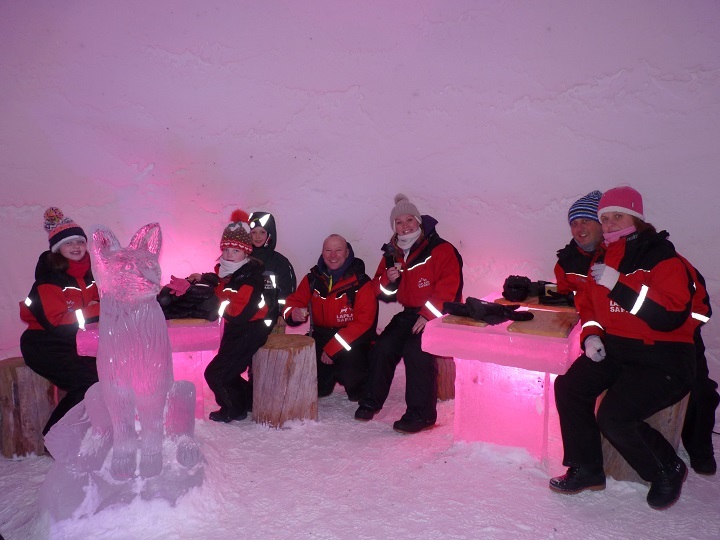 We have our own igloos in Santa's Lapland - Find out more about the Igloo Fantasia here! 1) The word 'igloo' is derived from the Inuit Indian word for 'home'. 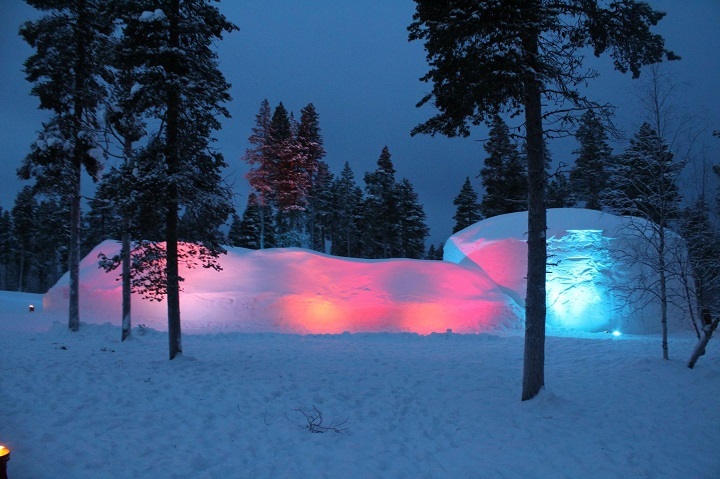 Although associated with snow, igloos can also be made out of almost any material, for instance; wood, cement or stone. 2) The snow/ice works as an insulator and the structure of an igloo means that the body heat created by the people inside is exacerbated and thus the people are kept warm. 3) Temperatures can reach minus 50 degrees outside the igloo, but due to the body heat still be a warming 60 degrees inside the igloo! 4) Whereas some igloos are built with blocks of ice, we build ours with large blocks of dry, hard compacted snow. 5) When occupied for long periods of time, the internal temperature of the igloo can rise, causing the snow to melt, however, it soon re-freezes once the igloo is unoccupied. This melting and refreezing process turns the snow melt into ice, which makes the structure both stronger and warmer! 6) The gradual thawing and freezing turn the structure to ice, making it stronger and warmer on the inside. 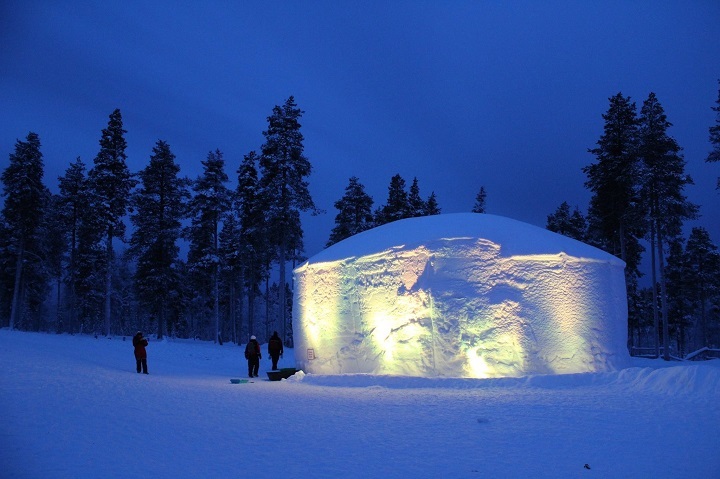 7) A traditional igloo can be built in just 1 hour and the only tools you need are a saw and snow spade! Our igloos in Santa's Lapland are truely magical - Find out more about the Igloo Fantasia here!